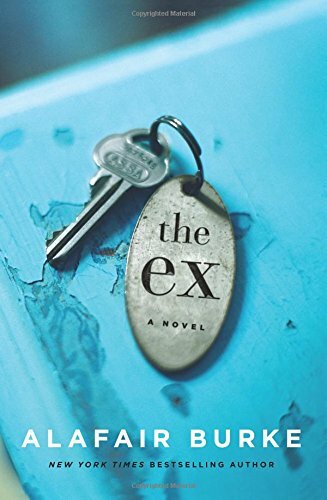 Sharon Long is with us today to review Alafair Burke’s newest novel, The Ex, published by Harper Collins. Jack is out running when he spots a woman in a pink bridesmaid dress with a picnic basket, drinking champagne and reading a book. She looks up and their eyes met but he runs on. He is intrigued and mentions his encounter to a friend who owns a blog. The friend instantly posts a message for the woman to contact Jack. They decide to meet 10 days later near a football field. Jack shows up but she does not. He hears shots and runs away. Three people end up dead. One of them is the father of the 15 old year boy, who shot Jack’s wife along with 13 others at Penn Station 3 years ago. Since Jack was so close to the shooting, the police suspect him. When he is arrested, his daughter calls Jack’s ex, Olivia, who is now a famous defense attorney. After 20 years of no contact with Jack, her previous fiancée, Olivia agrees to defend him. She knows there is no way the Jack she knew could have committed these murders. However, as the story progresses and the evidence mounts again him, Olivia begins to question everything she ever knew about him. This story is extremely realistic and set in New York City. The reader learns more about Jack and Olivia both past and present. The legal aspects of the story are compelling and accurate since Alafair is an attorney herself. The Ex is full of strong women; Olivia who is loyal and committed when defending a client, Jack’s friend who takes no gruff from anyone as well as Jack’s daughter who relentlessly keeps after Olivia to save her father. This book makes you wonder how much would you do for an Ex? Would you go out on a limb? Risk your career? I thoroughly enjoyed The Ex and you will too.